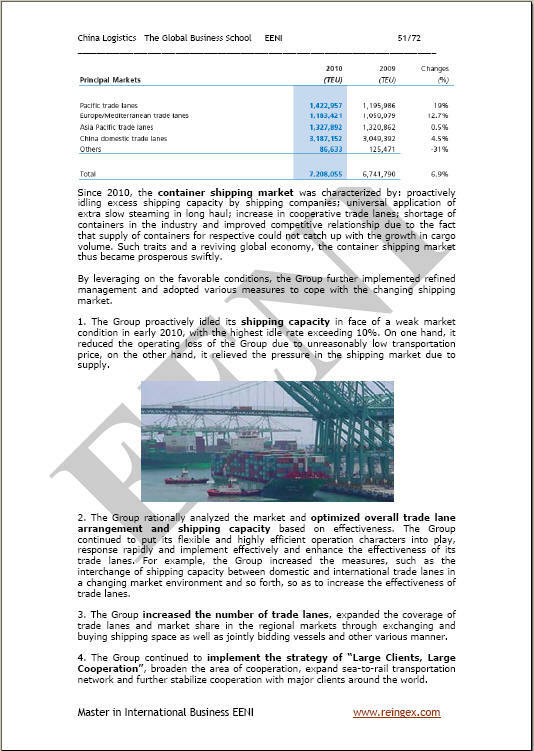 Syllabus of the Online Course (Subject)- China: Marine Transport and Ports. 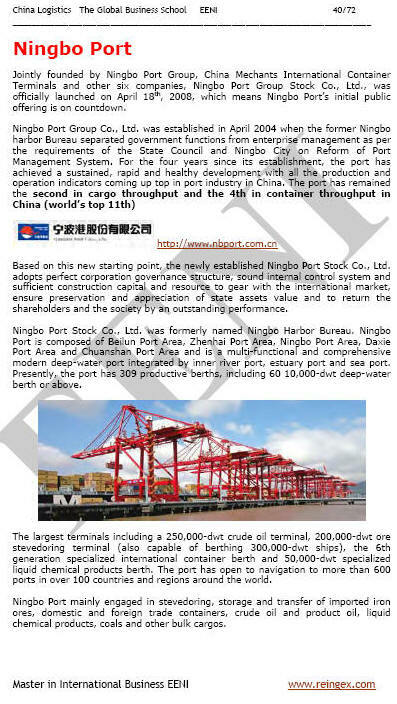 The Coastal ports of the People's Republic of China enable international transport of coal, containers, imported iron ore, and grain; roll-on-roll-off operations between the mainland China and the islands; and deep-water access to the sea. 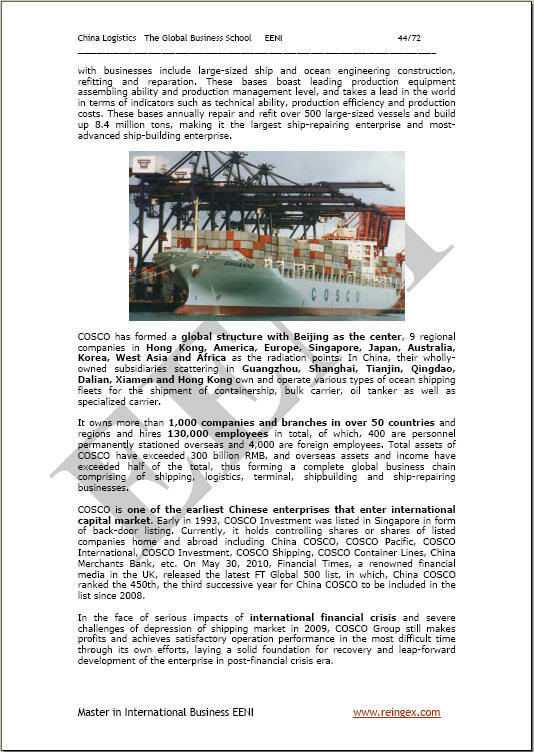 The freight volumes handled by some large ports surpass 100 million tonnes / year; the ports of Shanghai, Shenzhen, Qingdao, Tianjin, Guangzhou, Xiamen, Ningbo, and Dalian are among the top fifty container ports in the World. 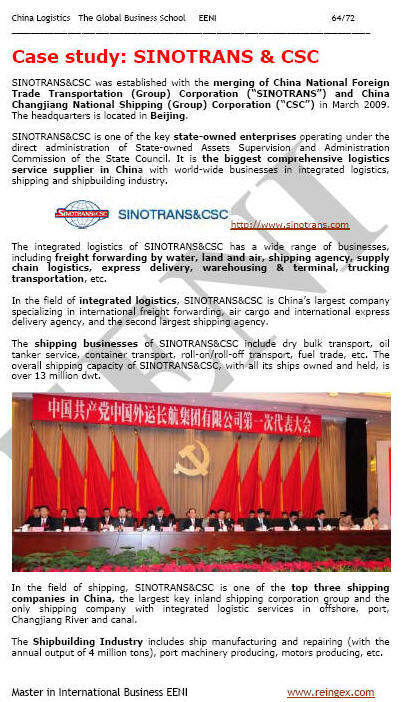 The People's Republic of China becomes the largest container Import-Export nation in the World. On a global basis, China's Rail transport volume is one of the largest in the World, having six% of the World's operating railways, and carrying 25% of the total railway workload in the World.